Geotextile tubes create a synthetic barrier used along shorelines and beaches to help control erosion. Often referred to as breakwater tubes, these barriers act as a first line of defense against waves and tidal action. As waves crash on to the shoreline, they hit the tube first, limiting the exposure to beaches and dunes. 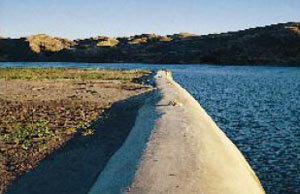 Geotextile tubes help areas retain sand/shorelines and work to prevent further erosion or loss in the area. 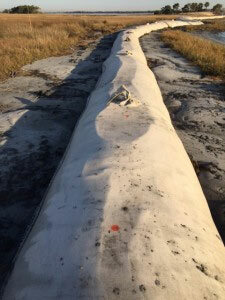 Shoreline protection tubes are made from a woven geotextile fabric that is UV stabilized and well-equipped to handle outdoor elements and exposure. The robust material and high strength fabrics make them an excellent choice for home protection, beach front properties, and other coastal areas. Geotube sizes are varied in length and circumference to accommodate different coastal areas. 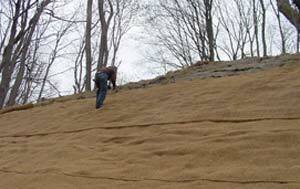 Questions about shoreline protection? We can help! Call the GEI Works team at 1-772-646-0597 or fill out our quote request form to discuss your requirements. 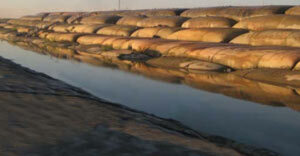 Geotextile Tubes have also been used for sediment, sludge, and dredging locations.